Seals are large carnivorous mammals. They spend most of their time in the sea, but they can and on occasion do swim several miles up into the freshwater reaches of rivers. Fish, shellfish, crustaceans and other marine animals are their food. 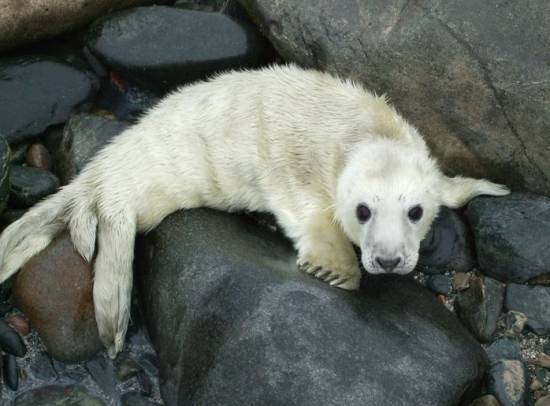 In Britain young seals, usually referred to as seal pups, are born in late summer and early autumn. You can often see young grey seals, with their parents, basking in the sunshine on small rocky coves and secluded beaches. 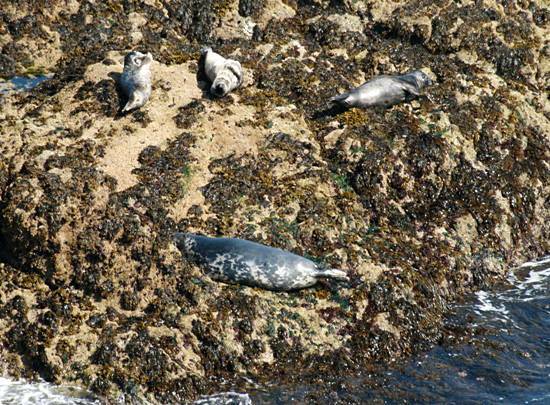 The cliffs at Gwbert on Sea, near the Teifi Estuary in West Wales, are a popular viewing area in September and October, when the young seals are learning to swim and begin to hunt for food. 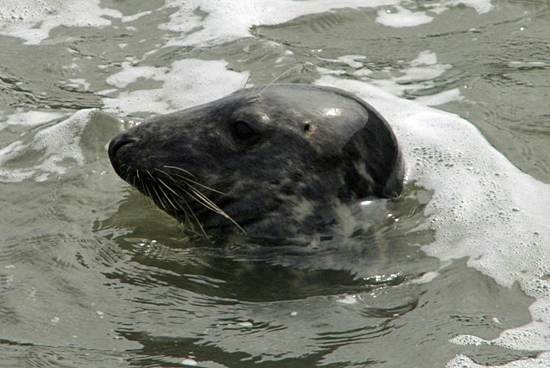 As well as grey seals, the common seal (sometimes referred to as the Harbour Seal), Phoca vitulina, is a frequently seen in British coastal waters. This page includes pictures kindly contributed by Tom Pearman.